At Armor 3D, profile diversity is key. It enables us to create innovative solutions and accelerate the R&D process. This is why we seek to expand our personnel by recruiting fresh talent. 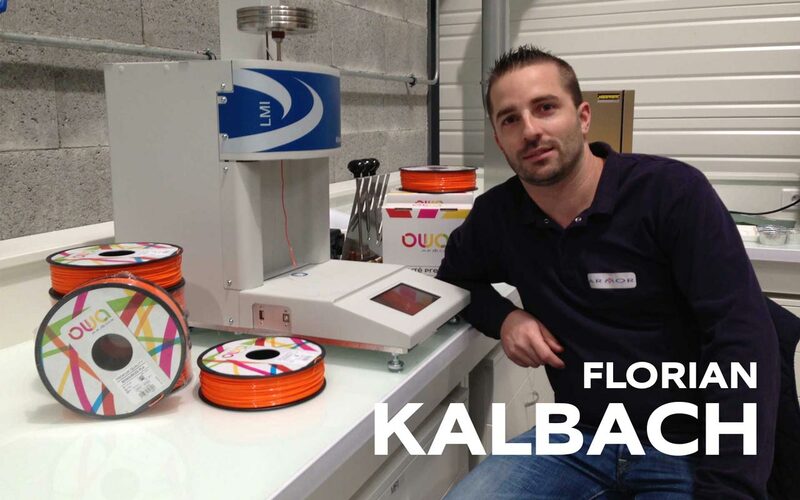 So we would like to introduce to you our 3D Applications Technician, Florian Kalbach, who we asked a few questions to find out more about his career and task. 1 – Can you tell us something about yourself and your experiences? I have a BTS diploma in Europlastics and Composites which I then supplemented with a professional diploma in Elastomer Formulation and Transformation from IFOCA. I then worked for 3 years at the Hutchinson Research centre in the Industrialisation Department as a Formulations Technician in TPEs (thermoplastic elastomers). Subsequently, 5 years ago, I joined Armor in Thermal Transfer, in the Process Department. My main tasks focussed on new product industrialisation trials, the launch of new production lines and process optimisation… Most recently, in June 2017, I moved to the Group’s 3D business. Alongside my professional life, I enjoy kitesurfing and love to go on road trips in my camper van. 2 – What are your main task at Armor 3D? I take part in the industrialisation of filaments on the production lines. I am in regular contact with R&D for the launch of new products. I also offer my technical expertise to define new production facilities. 3 – What is it that you like about 3D printing? This transformation method is revolutionising how parts are designed. Because there is no longer any mould, we don’t have to worry about demoulding. What’s more, being able to easily define the fill rate for a part enables us not only to reduce the consumption of materials, but also to create a three dimensional network within it, optimising mechanical properties. This opens up a whole new range of possibilities. 4 – How do you see the future of 3D printing? The future possibilities are immense. We will start off by thinking about printing an object before buying it. A 3D printer will certainly become a day-to-day tool accessible by everyone. It’s the Swiss army knife 2.0.